No doubt Peaches expected today to be like any other day - a typical piggy day filled with eating, sleeping, wheeking and general lazing about while looking cute. Little did she know that she had a date with the vet to check out her newly acquired belly lumps. She realized something was wrong after being deposited into the carrying container, which is only used for two things: travel to the lawn and travel to the vet's office. 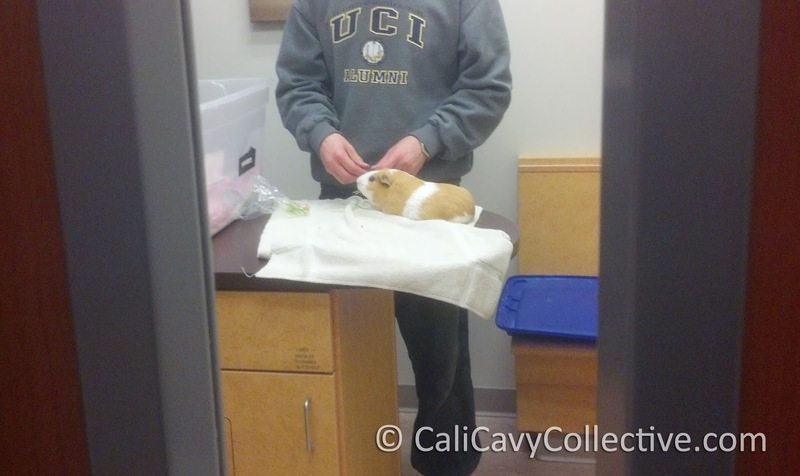 Since the journey lasted considerably longer than the minute long walk from cage to grass, Peaches was understandably nervous by the time she got to the waiting room. 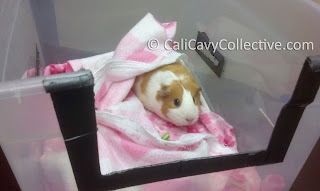 After a routine physical exam Peaches was pronounced overall healthy. As for the lumps, the vet opted to take a fine needle aspiration biopsy. Luckily our humans came prepared with a preemptive snack pack filled with her favorite foods. Peaches struggled but mouthfuls of carrot proved to be a successful distraction. 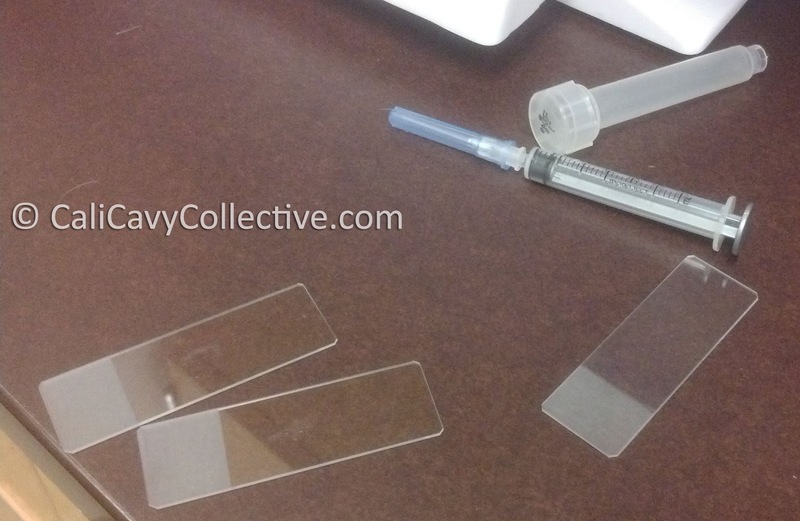 The sample taken showed that the cells were benign. The lump appears to be a lipoma, described on Guinea Lynx as a non-cancerous lump of fat cells. Although Peaches was given a clean bill of health our humans were instructed to monitor the lumps for changes. We are just thankful that Peaches is well and back in the cage snarfing down food like normal! Poor Peaches. I'm glad it's something minor. Peaches is such a cute piggie. I'm so happy she is fine. Yay Peaches - so happy to hear!